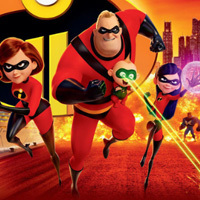 Hiddenogames brought another new hidden alphabet game called Incredibles 2-Hidden Alphabets. Show your finding skill with this new alphabet finding game. You have to find all the hidden alphabets of this Incredibles 2 movie pictures. Can you find them all? Avoid unnecessarily otherwise for each 10 wrong click will reduce your -30 second of time. Good Luck Have Fun!